Brazil's far-right president-elect Jair Bolsonaro flip-flopped Thursday on whether he would follow through on his plan to merge the agriculture and environment ministries, which activists warned could be disastrous for the environment. 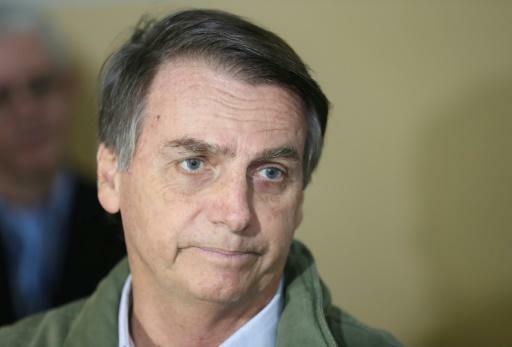 On Tuesday, Bolsonaro's future chief of staff, Onyx Lorenzoni, had said the decision was final, but the president-elect said that "in all probability" he would end up abandoning the plan. "There was an idea to merge (the two ministries), but it looks like that will be modified. In all probability, they will remain two separate ministries," Bolsonaro, 63, said in a TV interview. "Brazil is the country that best protects the environment. We plan to protect the environment, but without getting in the way of progress." Activists had sharply criticized the plan, saying it would compromise the environment ministry's ability to regulate the powerful agricultural industry and its impact on Brazil's natural resources, including the Amazon rainforest. It is the second time Bolsonaro, who takes office on January 1, has backpedaled on the proposal in a week. After insisting he would merge the ministries in the name of "the productive sector," he struck a more conciliatory tone four days before the election, saying he was "open to negotiation" on the issue. But Lorenzoni then said after the election there had never been any doubt: "Agriculture and environment will be in the same ministry, as we've said from the beginning," he said. But environmentalists saw the merger of these two ministries in particular as an ominous agenda on the part of his backers in the agrobusiness lobby. Even some in the agricultural industry had questioned the plan, fearing their products could face trade sanctions from other countries. Biodiverse Brazil is home to some of the most important natural resources on Earth, including the Amazon, the "lungs of the planet," which is threatened by illegal farming. The rainforest is shrinking at an annual rate of some 52,000 square kilometers (20,000 square miles) -- an area the size of Costa Rica.